If you are planning on investing serious money in a drone in order to record or capture aerial footage then you are likely looking at DJI as a provider of that hardware. At an event in New York City, the company has tried to tighten its stranglehold on that market with the announcement of its brand new Mavic Air drone, priced at $799. Anyone who knows DJI’s product catalog will immediately get an understanding the newly announced Mavic Air sits between the existing Spark and Mavic Pro. 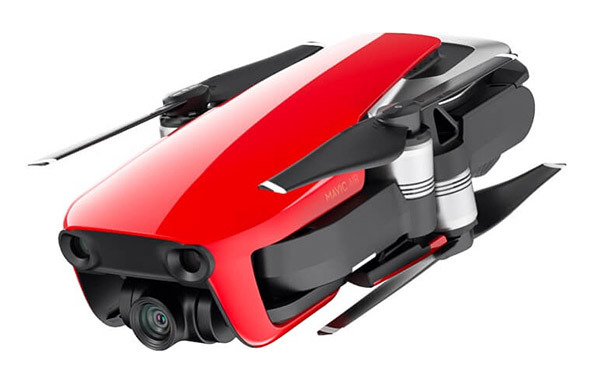 The Spark retails for $499 and is the company’s cheapest offering as an entry-level drone for those who are looking to get involved in this particular arena but without a huge outlay. The Mavic Pro is DJI’s more expensive model, costing $999 and comes with more features than Spark. It seems that DJI has had enough feedback from consumers to introduce a new drone model, which is still affordable and sits mid-range, and is a fairly impressive combination of both Spark and Mavic Pro. 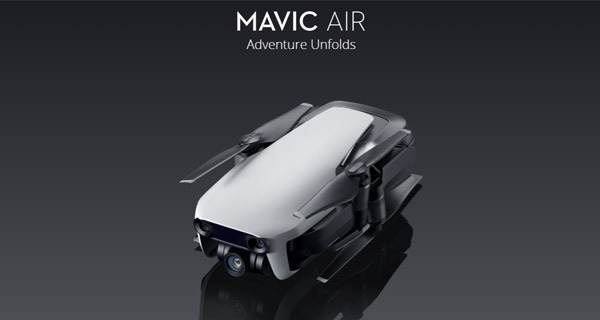 Like the Mavic Pro, Mavic Air is foldable in order to reduce its footprint for portability, but is also 41-percent lighter than the Pro model and is so small that it can easily fit in pocket. It’s also fairly impressive that the Air’s specification is closer to the Pro than the Spark. It’s capable of capturing video at 4K at 24 or 30 frames-per-second with its 1/2.3-inch module. If static images are your thing, then they can also be captured at 12-megapixel. Speed freaks will also be able to get a thrill out of this thing with its top speed hitting 42.5 miles-per-hour and its ability to operate without issue in headwinds of up to 22 miles-per-hour. Its new antenna design also means that it has an impressive range of 2.5 miles. Most consumers and drone owners will never even give consideration to whether or not the drone they are purchasing is likely to overheat but DJI has ensured that this one will not with a new and improved ventilation system. It comes with improved photography modes, advanced collision detection thanks to additional sensors and better algorithms and improved image processing. The Mavic Air will go on sale this coming January 28th for $799 and will be available in White, Red, and Black colors. It’s available for pre-order already.